Dolly Parton is known for big hair and big . . . ummm. In an era of country-music stars that rise and fall in a matter of months, never to be heard from again, Dolly Parton has achieved a life-long career and a devout fan base. In her latest career move, she’s written an inspirational book based on a 2009 commencement speech she delivered at the University of Tennessee. Dolly Parton discussed her new book in a recent talk with USA TODAY. 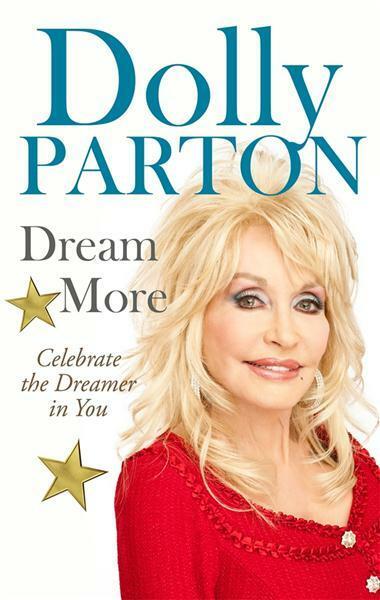 Country superstar Dolly Parton, 66, is out with Dream More: Celebrate the Dreamer in You (Putnam). It’s an inspirational book that grew out of a 2009 commencement speech she gave at the University of Tennessee where she told the graduates to follow their dreams, no matter what. USA TODAY caught up with the famous blonde by phone from ​Nashville. Q. You got a standing ovation for your speech! What did you say? A. I was scared to death! I can get out and talk all day, but I don’t think I’m smart enough to qualify for that kind of talk. But I worked hard at it and I think people can always relate to the rags-to-riches stuff. Plus I was in my home area and I sang a little bit, so that didn’t hurt any. Q. You say you were laughed at during your high school graduation when you announced you were going to become a star. Why didn’t that stop you? A. I didn’t understand it then. Why are they laughing at that, I wondered? I think it was parents getting a kick out of a kid dreaming that big a dream. I didn’t stop, though. That was what I was going to do. Read the complete interview at USA TODAY.